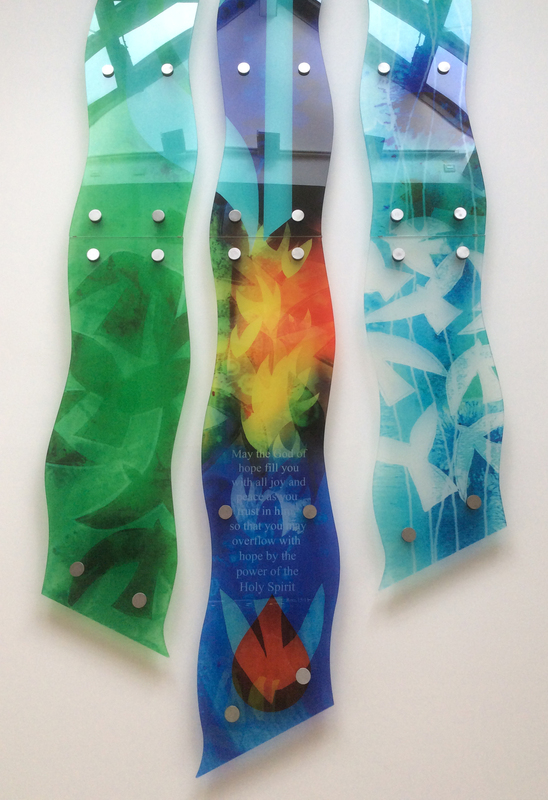 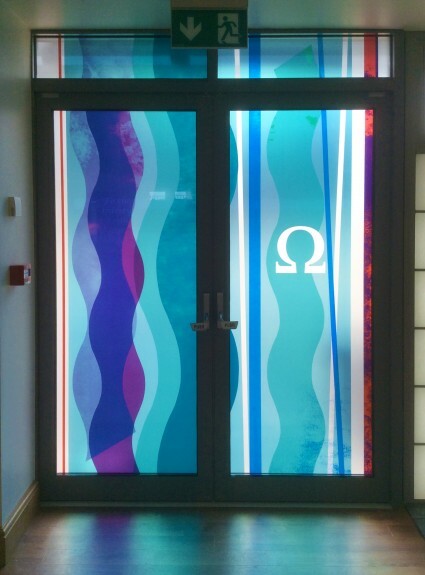 Here are a few images of my recently installed glass artworks at Trinity Methodist Church, East Grinstead. 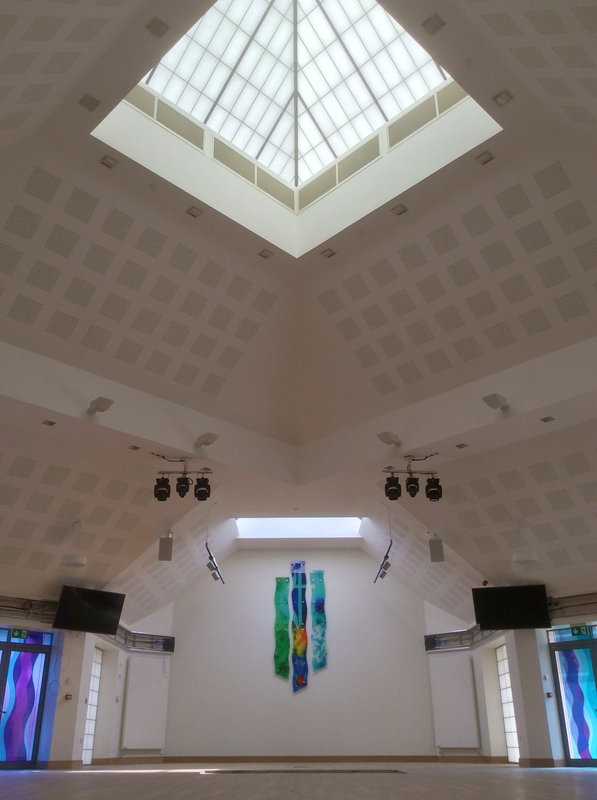 The sanctuary area has two new side screens which are silk screened with ceramic pigment, there’s a wall mounted digital printed glass sculpture, and there are optical prisms fitted to the roof lights. 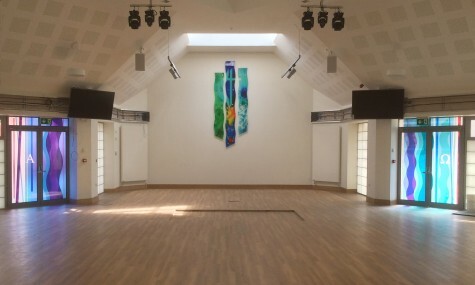 The church is a very impressive new building, complete with a state of the art sound system, three in-house video cameras and mixing desk, a programmable LED lighting system and stage lighting – very 21st century!